At T&C Repair we are known throughout Iowa, the Midwest, and the entire country for quality construction and equipment repair. 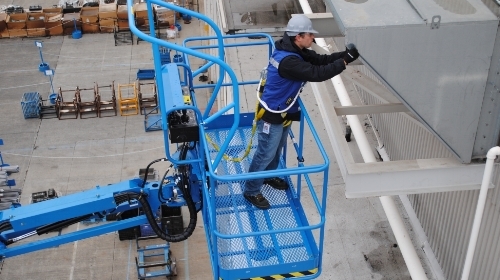 We specialize in equipment repairs of all types; from construction and aerial lifts to forklifts. Whether it’s a major overhaul or just a scheduled maintenance, we’ve got you covered. Our certified professional technicians provide industry-leading repair service, knowledge, and skill to get you up and running fast. 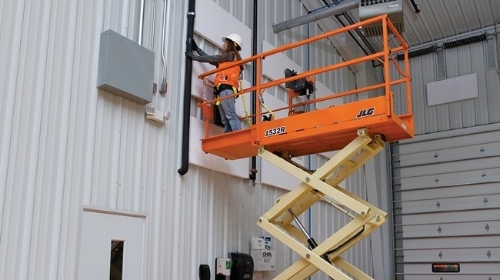 We specialize in all machine makes and models; from JLG Boom Lifts, Skytrak Telehandlers, and everything in between. If it has wheels, we can fix it with your needs in mind. We service most makes and models with factory-trained technicians. We come to the location of your equipment and are available 24 hours a day, 7 days a week. Eliminate internal maintenance and repair hassles as well as lower your maintenance and operation costs. We can increase equipment availability and extend equipment life. Routine maintenance is the best way to eliminate expensive construction equipment repairs in the first place. T&C Repair offers a comprehensive menu of customer support agreements that can be tailored to the specific needs of each customer. We can cover everything from basic preventive maintenance – like oil changes and visual inspections to all-encompassing, bumper-to-bumper maintenance and repair service. In addition to minimizing repair costs, our maintenance plans can extend the life of your machine and provide a greater return on your heavy equipment investment. T&C Repair technicians can come directly to your place of business or job site to provide equipment repair field service. The T&C Repair team has fully equipped field service trucks with diagnostic and repair equipment. Our equipment repair technicians are on call 24 hours a day to provide field service. We accept all major types of credit cards such as Visa, Mastercard, Discover, & American Express. All Makes. All Models. We Keep Them All Running. Thank you for contacting us. A representative from T&C Repair will be contacting you shortly. Call us at 515-689-1971 for all of your equipment repair needs. Copyright ©2017, T&C Repair, All rights reserved.